Do You Have the Ned for a Shutter Company in Clermont? There are many reasons to love the city of Clermont, FL. Living in Florida, there’s an adaption that needs to be made to windows due to the heat from the sun’s rays. American Blinds and Shutters Outlet has window treatments to combat your sunlight problems. Besides cutting down on sunlight, we can also protect your home from nosey neighbors. Our interior shutters will get you the privacy that you need. How many times have you tried to spend a special moment with the family only to find neighbors looking in? Also, to beef up the security in your home, you’re going to need our interior shutters. These window coverings will do more than just add to the amount of privacy in the home. They will keep your home from being burglarized and much safer in the day & night times. Thieves pry on houses in which they can see into. This gives them the upper-hand as they make a mental note of all that’s in the home. We can prevent them and your neighbors from peering in. All you have to do is make the call to 407-492-1009. Do you work nights? Is it hard to come home and fall asleep only to be disrupted by sunlight? We have the perfect blind for you. Our blackout shades will put you in la-la land in no time at all. Just close them and you’ll be out like a light. Who benefits from blackout blinds? No matter who you are, you’ll appreciate our blackout shades. Our Clermont shutter company offers quality because we don’t want you getting blinds that are massed-produced, from a local store. They are cheaply made and break very easily. You’ll be replacing them more than being able to enjoy them. Wanting to make the switch over to curtains for your home? We can design you customized drapes & curtains. They’ll be the added additions that you’ve been wanting all along. We have lots of fabric styles and patterns to choose from. No matter what kind of style you have in your home, custom drapery is an added benefit. To learn more, call us. We’ll be happy to educate you on the pros of custom drapery. If there is one thing that our shutter company does best, it’s garnish windows with customized treatments. 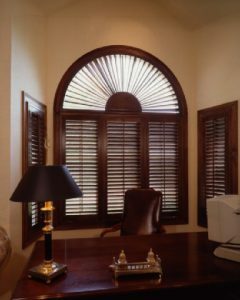 If you are looking for a Clermont shutter company for your Clermont home, then please call 407-492-1009 or complete our online request form to schedule a consultation.